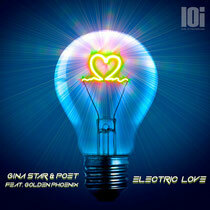 Gina Star recently released her latest addition to the lOi imprint ‘Electric Love’. Teaming up in the studio with The Black Eyed Peas’ DJ/producer, Poet, and reinforced by the vocals of Golden Phoenix, the trio have sculpted a progressive house track stacked with chords, uplifting melodies and a lead vocal that’s should grab you. Gina shows off her love of elevating melodies and production skills and with Poet on board, he’s a talent who’s had his creative input on some of the most prominent pop records with The Black Eyed Peas. ‘Electric Love’ is a vocal EDM workout with shimmering leads, whispering pads and a bassline that could do the damage on the floor. Golden Phoenix ties the single together with her vocal lines, which also get the Gina Star and Poet treatment. Check it out below. I was suggested this blog by means of my cousin. I am no longer sure whether or not this submit is written via him as no one else know such specific approximately my problem. You're amazing! Thank you!